Light & Darkness Radio: Featured Today! "Coma Divine, Graveworm..."
How was this Metal week of yours?! Hope you been having a blast with L&DR! If you have a band that haven't been played in L&DR feel free to contact me, the library currently holds 25k songs on 320Kbps HQ sound near 500gb and still adding more everyday! Without taking more of your time here's today Featured bands! Coma Divinie (AU) - COMA DIVINE is the new creation of (and with) Sonja Kraushofer, well known singer of the bands L’ÂME IMMORTELLE and PERSEPHONE.She found company in Ashley Dayour who is also known from gothic rock-institution WHISPERS IN THE SHADOW, Martin Hoefert (PERSEPHONE & Ex-SOPOR AETERNUS), Franz Heinrich Lirsch and Wolfgang Luckner. Musically their approach differs from the sound they‘ve been getting famous for within and beyond the gothic scene worldwide. Exploring new boundaries and searching for new ways to express themselves you will find metal meeting neo-classical arrangements; melancholic guitars are combined with heavy riffs; expressive songwriting leads into catchy refrains. A distorted cello shows the path, thundering drums step forwad and an abysmal bass-sound leaves you behind, trembling... Yet you‘ll find Sonja‘s voice enthroning the scenery all over! Surprisingly, sudden changes in tempo or timbre may suggest a progressive ambition seldomly heard in this specific genre. Already the opener „Burn Sister“ defines what‘s being aimed at: starting as a never-to-be-tamed riff-monster it takes its time to take a brake within a ballad-like part until it leads into a bombastic, final blowup. But even songs like the catchy „From Time To Time“ or the impulsve „Fast Lane“ show COMA DIVINE‘s musical diversity and strength. Furthermore you‘ll find on this extraordinary debut-record nearly musically told short-stories such as „The Odd One Out“ or „About A Girl“. Finalized by „Dead End“ it brings the listener deep down to the most distant shores of human imagination - and just without any will, listeners will most probably drown into a comatic, divine condition - where everything is possible, everything permitted... but yet nothing‘s true! Graveworm (IT) - Before Graveworm even released a demo, they were signed by Serenades Records after a performance close to their hometown of Bruneck (Brunico), northern Italy. Graveworm was signed to Serenades Records in 1997, releasing their first EP, Eternal Winds, in that same year. During their first tour together with Crematory, Therion and Lake of Tears, the band promoted the album When Daylight's Gone. 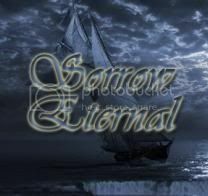 In 1998, the EP Underneath the Crescent Moon was released, featuring Sarah Jezebel Deva (Cradle of Filth, Therion) in the track "Awake...Thy Angels Of Sorrow". Graveworm also performed at the Wacken Open Air (Germany) with bands such as Children of Bodom, Cradle of Filth and Vader. The second album As the Angels Reach the Beauty was finished in 1999, and followed by a European tour with Agathodaimon. Scourge of Malice was released in 2001, which allowed the band their first headlining tour together with Dornenreich, Vintersorg and Darkwell. In 2002, they changed to the German Nuclear Blast label. At this point, Didi Schraffel (bass) left the band and Harry Klenk (guitars) was replaced by Eric Treffel. Treffel soon left the band in the same year and was replaced by Eric Righi on guitar. Together with Righi, they produced Engraved in Black, which was finished in 2003, and enhanced with a feature of R.E.M. 's "Losing My Religion". Shortly after the release, Stefan Unterpertinger (guitar) quit and Lukas Flarer joined the band. Also, Harry Klenk, former guitarist and now bassist, re-joined the band. In 2004, Graveworm played on the X-Mass Festival tour together with Destruction, Kataklysm, and many others. Martin Innerbichler (drums) took a break to study and was temporarily replaced by Moritz Neuner (previously the Darkwell and Shadowcast drummer). The album (N)utopia was released in 2005. Lukas Flarer (guitarist) later left the band for personal reasons, and was replaced by Orgler "Stirz" Thomas. In 2006, Graveworm embarked on a North American tour with Kataklysm, Destruction, The Absence, and Vader. On April 10, 2007, the promo of the latest Graveworm album, Collateral Defect, was leaked on the web. The album was launched in Europe on May 25 via Massacre Records and June 5 in North America through Nuclear Blast. It was produced by Andy Classen at Stage One studios in Borgentreich, Germany. Graveworm's album Diabolical Figures was released on June 19, 2009 and features Karsten Jäger as a guest musician. Their latest album "Fragments Of Death" have a release date of October 21st via Nuclear Blast!